From the south: Take 441 N to Rabun County. After passing Rabun County High School on right continue 1 mile and turn left onto Tiger Connector Rd, just past "Goats on the Roof" and then continue for 1/2 mile. Then take a left on Pleasant Place and then right on Blair Street. Then take a right onto Lincoln Lane and stay straight following the kennel signs. From the north: Take 441 S past Clayton. After passing Walmart/Home Depot, continue 1 mile and turn right onto Tiger Connector Rd, right before "Goats on the Roof". Continue for 1/2 mile and take a left onto Pleasant Place. Then take right onto Lincoln Lane and stay straight following the kennel signs. From Old 441 S: Go through the four way stop in Tiger and take an immediate left on to Blair Street heading South. 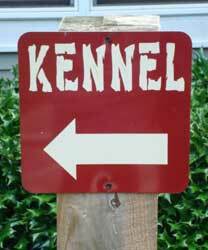 Turn left onto Lincoln Lane and follow the kennel signs.